Two months have passed and everyone is returning home to Nashville for a break. Back from touring in Europe, Luke is ready for some uninterrupted quality time with his family. Meanwhile, Rayna prepares to return also — but not before debuting her new single on Dancing with the Stars. When she’s done, she too looks forward to a much-needed 48 hours alone with Luke. One problem: Rolling Stone wants her to do the cover… and the only time the interview can take place is this weekend. 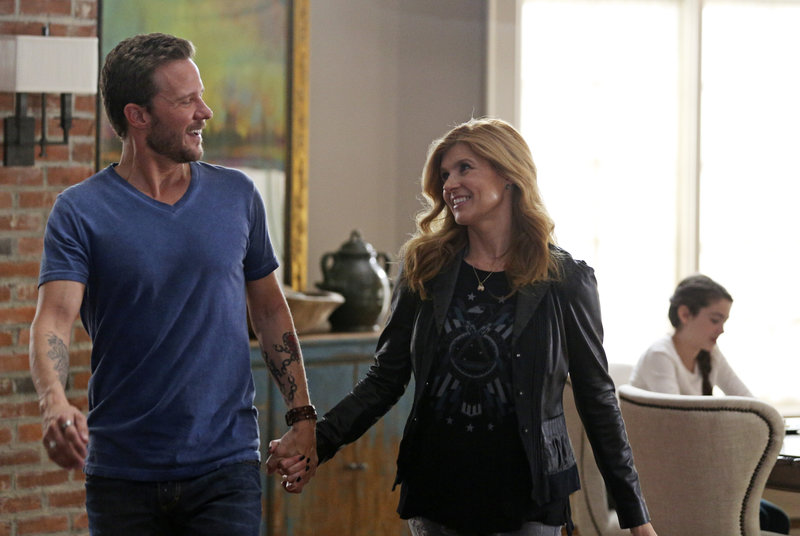 Despite assuring Luke she can juggle both the reporter and their family time, Rayna’s romantic plans get squashed. Luke is disappointed. 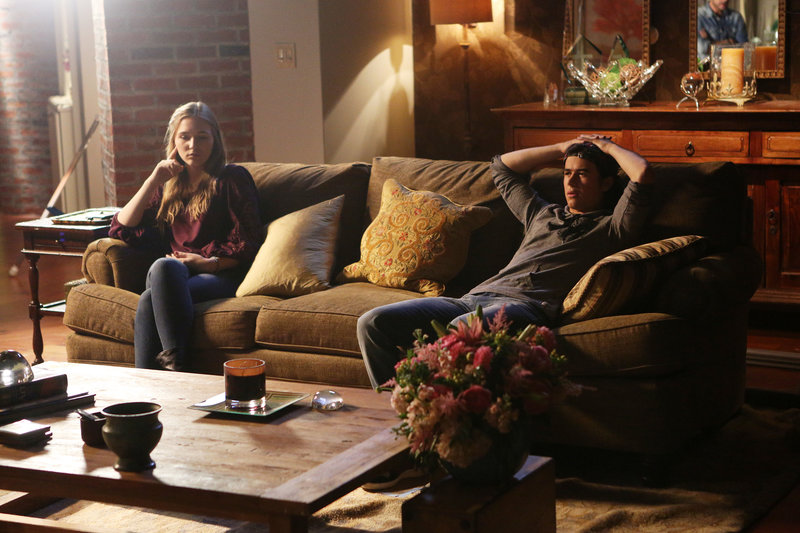 Things get worse when Luke, Rayna and the Rolling Stone reporter walk in on Colt and Maddie kissing. Maddie doesn’t understand why her mother is so upset about her locking lips with her future stepbrother. They like each other. Rayna is trying to protect Maddie. In fact, she has to do major damage control with the reporter. In order to keep Maddie out of the news, Rayna plays her trump card. She offers to discuss her past with Deacon. Avery attends a prenatal appointment with Juliette, but they can’t seem to agree on anything. Avery doesn’t think he can help when it comes to Lamaze. It seems too intimate, especially considering the current state of his relationship with Juliette. Ms. Barnes struggles to prepare for motherhood alone. She’s emotional and Rayna advises her to channel that when writing new songs. Avery tries to be involved with his child from a distance, including buying a fancy new crib for the baby, but he soon realizes that Juliette and their child are one in the same until the baby is born. He pushes his hurt aside and shows up for Juliette at her Lamaze class. It’s a good thing he does, too, because he gets to feel the baby kick. He promises not to miss any more big moments in his child’s life. Deacon is eager to return home and to an empty schedule. It’s good he doesn’t have plans because he’s completely under the weather. Despite his best efforts to leave “the road on the road,” Deacon is forced to have a conversation with Pam about the future of their relationship. It’s not going to work out, but he is so grateful he met her. Pam understands and leaves. Will is less than thrilled to return to the homestead. He and Layla haven’t talked in months and have to mask their mounting tension for the big reveal of their reality show. When “Love and Country” premieres, Layla is horrified to see it’s been edited unfavorably and makes her look awful. Meanwhile, Scarlett discovers her homeless friend Terry performed professionally in the past. She wants him to sing again at the Bluebird. He agrees on one condition: she has to sing with him. Scarlett manages to push past her stage fright and dazzles the crowd with Terry. Gunnar happily spends more time with his son. However, Zoey is less than thrilled. She feels like a premature housewife and that’s not something she’s comfortable with. Tensions run high, especially when they discover Kiley is leaving town –- and leaving Micah with Gunnar. Give Nashville‘s Rayna Jaymes 48 hours, and she’ll make wedding arrangements, business decisions, plans for national press coverage and an appearance on Dancing With the Stars. The problems in Rayna and Luke’s relationship don’t get any better during their first weekend together after a months-long absence — and I can’t imagine the tell-all interview she grants Rolling Stone about her relationship with Deacon will help ease intra-Ruke tensions. HOME SWEET HOME | Luke’s tour returns to Nashville, and all anyone can talk about is how little they want to do during the approaching weekend. Luke is jazzed that Rayna will be back in town, too, after her appearance on Dancing With the Stars — remember, the one she booted him out of in the previous episode? Ray does indeed sing a new single, “Lies of the Lonely,” on the reality series while some of the pros cavort on the floor in front of her. But seriously, all I can focus on is Connie Britton’s cleavage. Damn, lady. Well done. Then she’s on a plane and home in Nashville the next morning in time to join the extended family — Maddie, Daphne and Luke’s kids Sage and Colt — for breakfast. Luke immediately suggests they ditch the kids with the nanny so he and Rayna can go upstairs and bone. She’s on board — way to achieve that family bonding to which you’ve been paying lip service for the past 10 minutes, guys! — but has bad news: Rolling Stone wants to do a cover story on her, so she’s going to have a reporter in tow for the better part of their limited time together. But she promises they’ll still do all the wedding planning and naked funtimes they talked about. GOT YOUR NOTEBOOK READY? | Rayna proceeds to give the Rolling Stone reporter the story of his dreams by inadvertently exposing him to: pregnant-and-pissed Juliette (“You think he’s gonna write me as a hormonal headcase?” Ju asks the redhead. “Probably,” Rayna replies. Ha! ); a Ruke fight, complete with a very childish Mr. Wheeler all but kicking the floor as he throws a tantrum; and — most juicily — future stepsiblings Maddie and Colt making out on the couch with the lights down low. In a last-ditch effort to get the reporter to forget what he saw, Rayna offers him an even better exclusive: “What if I give you the story of Deacon Claybourne?” The epic story of a beloved former celebrity couple in exchange for not writing about some stupid kids? Reporter guy, who’s already been turned down by Deke, nearly pees himself in excitement. When Rayna returns home, Luke thanks her for protecting their kids. My anticipation of how much he’ll freak out when that Rolling Stone issue hits the stands is so delicious, I want to eat it like a cupcake. IT’S NOT YOU, IT’S DEKE | Deacon, too, will probably blow a gasket when he finds out what Rayna did. But for now, he’s got a bad cold and only fights the NyQuil haze long enough to give 1980s Ilene Kristen Pam a polite heave-ho, which she totally knew was coming. INSTA-KID | In the two months that have passed since the previous episode, Gunnar and Kiley apparently told Micah he’s Gunny’s son. And things are so settled now that the boy routinely spends time/nights/weekends at his father’s house, much to Zoey’s bitchy dismay. REALITY BITES | Will and Layla have a very adult reunion when he comes back into town; he even goes to watch her play some of her new stuff live, and he’s shocked when it’s actually pretty good. Later that night, she even thanks him (!) for giving her a life experience she can use in her songwriting. But when they attend the premiere of their reality series “Love and Country,” she’s upset that the show portrays Will as a shirtless, glistening hunk (open your eyes, honey), and she’s made out to be Jessica Simpson, circa the Chicken-of-the-Sea-Newlyweds heyday. Wenchy producer lady doesn’t care, because the show’s a hit — what ratings system are they using that coughs up such instant results? — and she hints that their contracts oblige them to tape another season. DEEP, CLEANSING BREATHS | Avery stays true to his word and is there for the baby — such as when he attends an obstetrician appointment and buys a top of the line crib — but he doesn’t want anything to do with Juliette. This causes Ms. Barnes much emotional pain; Rayna advises her to channel it into a song, because her latest ones blow. BACK ON MY FEET | Scarlett’s homeless friend, Terry, swings by the house and leaves her a harmonica as thanks for the job and food (and as an apology for storming away when she asked about his family). Turns out, he was a professional musician who was on the road around Thanksgiving 1993; when his wife and kids drove to see him, they were in a collision that killed them all, starting his downward spiral. Though he’s gotten a job and cleaned himself up, Scarlett talks him into spending some time writing a song with her. They later perform it together at The Bluebird, and I start to wonder why Scar’s so twitchy on stage and then I suddenly remember the cringing-under-the-piano incident and sigh. Please let this scene, during which both Scarlett and Terry eventually relax into the (rather good) song, signify that she’s pretty much over that sad chapter in her life?